Janet was born in 2343 in Colorado Springs, CO. Janet always wanted to be a Doctor growing up and she wanted to join Starfleet. A boy she met in high school got in the way of that and she was married shortly after graduating high school. By 2365 Janet was tired of putting her dreams on the back burner and entered Starfleet Medical Academy as a freshman. During her junior year the marriage ended and they two divorced. She was assigned to Andor to do her field study. After her four years there she was assigned to the Griffin as a medical officer. 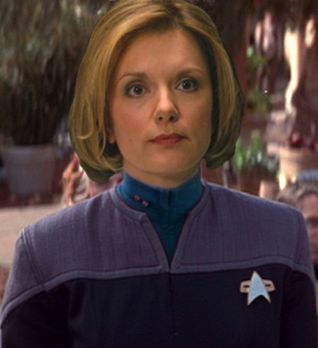 In late 2379 she was selected to be the Assistant Chief Medical Officer on the newly launched Odyssey which was headed to the Delta Quadrant.